Step 1, Inance Cleanser Creme. Inance Cleanser Creme, Size 8oz -One of the best facial cleansers on the market and wonderful on sensitive skin. 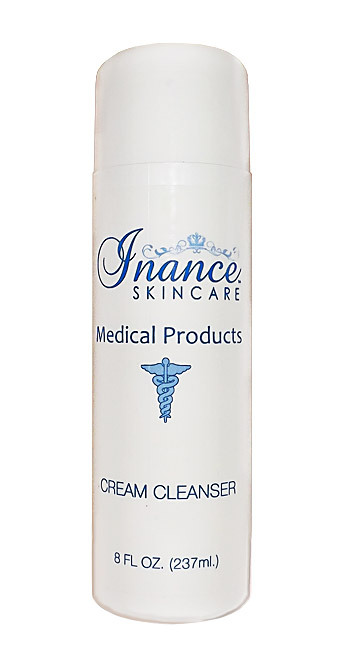 Inance Cleanser Creme cleanses the skin removing oil, dirt and impurities leaving it clean and soft. It has effective natural ingredients that help hydrate your skin. A combination of Aloe Vera and other botanical extracts provide a feeling of clean, refreshed non-irritated skin. Inance cleanser cream is pH correct, safe and effective for use around the eye area and may be used by people of all skin types. Directions: Use in the morning and at night to cleanse the face with warm water. Blot dry.